GameStop employment may be what some teenagers' dreams are made of, but you can still have your ideal career as a video game expert if you're looking for a full-time career. Pursue employment with GameStop in the way that is most comfortable for you-online, in the store, or even at the corporate office. GameStop, a Fortune 500 company with more than 6,100 stores scattered throughout the United States and seventeen other countries, is the largest retailer for video games. GameStop, EB Games and Electronics Boutique are all part of the same company and strive for customer satisfaction. GameStop likes to offer their customers the newest games along with pre-owned ones at great prices. The company also has an online presence, with GameStop.com and EBGames.com to serve those who cannot make it to one of the many brick-and-mortar stores. If you're a writer at heart, you may even attempt to acquire employment as a contributing writer to Game Informer, a video game magazine published by the GameStop company. One of the things to play up when looking for GameStop employment is a willingness to provide excellent customer service. A knack for learning new things will help you in your ability to assist customers in finding what they need in both new and old games. To apply for GameStop employment, you can go to the store nearest you and ask if they are hiring. This will be beneficial for local retail employment. If you are interested in other types of employment, you may be best served by visiting GameStop.com's Careers page. If you would like to work for the company but don't have a specific job title in mind, in-person application is recommended. Some positions require you to print paperwork ahead of time and then take it to the store you'd like to work in. Others require you to apply online. Before jumping right in to any type of GameStop application, a visit to the site to find out more about the position you seek will save you time and make sure your application for GameStop is as effective as possible. If you have a disability that prevents you from filling out an application online or visiting one of the GameStop stores, take note of the company's Affirmative Action Coordinator's contact information on the GameStop Careers page. Since these jobs are in the Grapevine, TX, office only, there is not a full listing of the job titles available on the website. You can, however, see if there is a match for you by periodically visiting the SSC/Home Office section under Careers on the GameStop website. Positions are listed as they become available, so if you are in the Grapevine area or plan to relocate there in the near future, it's worth a glance. If there is no specific title you're looking for, but you think you would enjoy being a part of the GameStop family, you can still apply in person. Chat on the phone with customers about returns, exchanges, shipping, and more. The GameStop website mentions that they are looking for people who like solving problems, helping others, and talking on the phone. 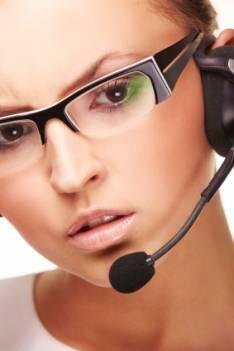 When you visit the site, you will see if there are any customer service openings. There are opportunities for GameStop employment in Distribution in Grapevine, Texas and Louisville, Kentucky. If there is a job opening available in either location, it will be listed under that city. These positions include technicians who can refurbish games. In this type of GameStop employment, you could oversee several stores at once, leading them to success. Employee discounts not only at the GameStop stores, but at Barnes & Noble and B. Dalton stores.